Alfresco and entertaining areas have become more and more interior focused, no longer do we opt for garden chairs and tables but we will see couches, curtains and decor outside to create that homely feel all while you enjoy the fresh air. 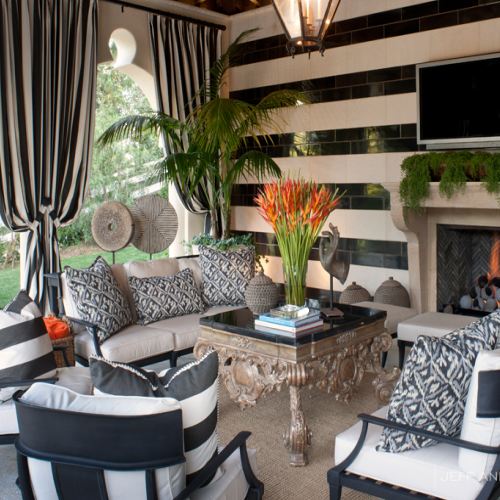 Here are the top 5 things you need, to pull off alfresco and outdoor entertainment living. Who’s tired of sitting on uncomfortable chairs outside? Why not indulge and relax in comfortable seating, some cushions and comfortable padding means you can spend more time outdoors, reading a book or reading our blogs. Don’t just opt for one couch, mix and match patterns and designs. The idea of being outdoors and being completely relaxed would make anyone happy, but we need to protect ourselves from harsh elements such as the sun. If you find yourself without shelter over your outdoor living space invest in an Awning, they come in a variety of modern colours and designs and have a motorised option so you don’t need to get up from your comfy couch. View our Awning range here. You could also give your Alfresco area a designer feel by using curtains to minimize wind and keep some bugs out, you won’t block everything but you’re outdoor area will look classy and chic. Every Alfresco area needs somewhere that you can wine and dine, make sure you have a good table to eat meals at and a BBQ. I’ve seen some amazing BBQ decks that consist of sinks, prep areas and fridges, if you really want to impress your guests this would be something to look into. But don’t feel the pressure of outdoor kitchens, if you have a perfectly good one inside it won’t matter walking an extra few metres to bring out the food. There’s nothing worse than sitting outside in the dark trying to eat a meal, make sure you have appropriate lighting for your outdoor area, if you have a security light that works too, make sure you invest in citronella candles to keep those mozzies away. Make sure the lights you chose compliment your area, don’t hang festival lights if you’re going for a classy chic look. You want to feel as relaxed as you can outside, create an inside atmosphere in your new area by adding decor items, throws and cushions. 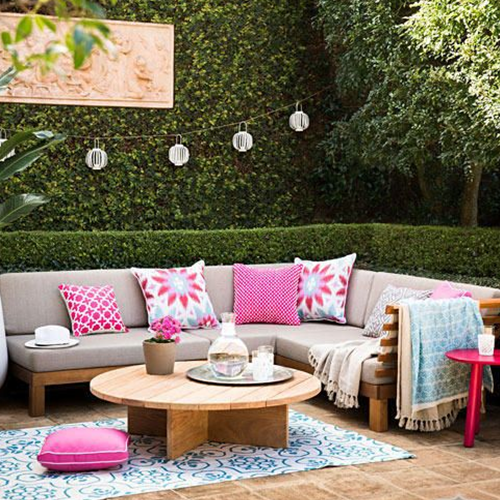 Don’t be shy to mix your patterns and prints to suit your living style and remember your outdoor living space doesn’t need to match what’s going on inside. With the warmer weather a change of decor kicks in, from interior and décor to the exterior, “we’ll see plenty vibrant colours making its way into homes” says Revona Grice, “popping accents of décor items will be visually pleasing to the eye”. But Home makeovers won’t just focus on décor items and furniture but also the replacement of wear and tear of household items. “Plantation shutters are a must have for modern homes; they give off a modern clean cut look all while complimenting the exterior, waterproof shutters are the perfect investment for the bathroom and kitchen or venetian blinds for a cost effective alternative .” See our favourite looks below. Bring spring’s Runway into your home. As we study the runway at some of the worlds most prestigious fashion shows this spring we start to see styles and trends suitable for the home… and I’m not talking about in your wardrobe. These 6 runway trends from Harpers Bazaar Spring 2014 Report from designers such as Stella McCartney, Oscar De La Renta and Marc Jacobs (just to name a few) will make your home a fashion designers dream space. This crisp, white collared look captured by fashion designer Valentino brings a professional touch to anyone’s wardrobe; if you love the look of all white it can be a look you would want in your home it doesn’t have to come across as a professional finish. Opt for white furniture and throw subtle colours of décor like flowers, a vase or rug if you want the look but are skeptical about going the full way. Marc Jacobs internationally known designer has brought to the runway a combination of sequins and crystal, as if these two elements weren’t enough separate, he’s brought the idea of a layered effect with the two that looks astronomical. The idea of combining sequins and crystal may be best used in cushions and home décor items. Pair a beautiful crystal lamp or chandelier with sequin cushions. Floral décor would be the most popular design in the home, thank you Alberta Ferretti for bringing the floral back in a more modern way, Harpers Bazaar have described taking this new floral approach in an artsy, painterly way, make it classy and choose a pattern that won’t date. When I think of fringe I immediately associate it with the 70’s, but fashion always makes a comeback and there’s ways to create a 70’s vibe in your home and still put a modern twist on it. Fashion Designer Emilio Pucci sees Moroccan throws and confetti affect designs meshed together with the fringe. It really wouldn’t be spring inspired if it didn’t include pastel and bright shades. 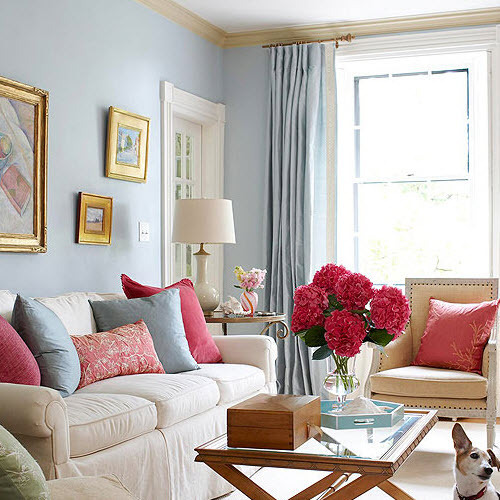 We’re looking at icy shades and blush colors being incorporated into the home. I love popping furniture more than little accents on bright colour, that way your beautiful pink curtains will be the feature of the room instead of dispersing more than one pastel shade around the room. Something that was meant to be used as home décor is finding itself on the runway, so if you’ve already incorporated that pop art on your wall, you’re one step ahead of Chanel. Visually pleasing colours in your home, according to artist and blogger DeAnne Williamson “breathes oxygen into your room… comforts you, it warms you… it makes a house a home.” Be careful not to go over the top with colour, your home could look like Google Headquarters. Bring Industrial into your home. We love the industrial look happening right now, timber tables, naked bulb light fixtures and stainless steel chairs are making their way through the interior design atmosphere. 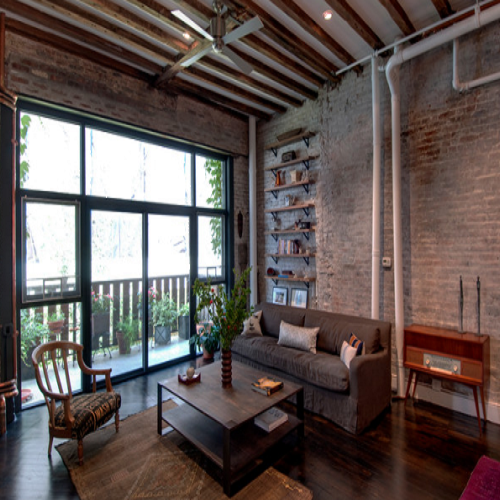 Exposing the foundation of homes really make for an industrial look, exposed brick, pipes and cement can bring that interior design look into your home without having to do any renovation. This look used to be for loft residents and creative professionals only; now, home owners are incorporating the industrial look into their homes. We’ll show you what you need to pull this look off, how to add those few industrial items to your home and turn it into an industrial designer space. A friend of mine has gone for this naked light fixture (below) in her dining room and paired it with a timber setting, giving the room an industrial feel, it also reflects a stunning roof pattern when switched on, try steel, naked or wooden light fixtures it will pick up your room and give it that wow factor. If you haven’t laid carpet down yet, don’t worry… concrete floors are the new floorboards, this fascinating trend sees most houses polishing and staining concrete and creating a feature floor. If you can’t take the concrete step, why not use little accents of steel, platters, plant holders, table bases or shelving, anything close to the floor will help mimic the look, you could even try a concrete colour carpet. Using Industrial inspired décor will really make your home stand out, salvage old pieces of furniture or steel and incorporate this into your living space, pipes, crates and Old Street signs are just a few suggestions. Brick and concrete walls are a must have if you want to pull off this look, if you are into home renovation, you could strip your walls to reveal these two elements. If you don’t want the hassle of doing this, you could try easy to apply, easy to remove wallpaper, it comes in concrete and brick designs. Window furnishings really complete the look you’re going for, pair your new industrial look with shutters; they’re a stunning look to any home and compliment any style you’re trying to achieve. For this particular look we recommend our Pure White or Rustic Gray shades. Bring Industrial Chic into your home. If you love the industrial look above, but still want to keep that femininity around the place, why not try an industrial chic look, with industrial elements but still keeping your home elegant. Scroll down and be taken to a whole new level of amazement. Living in a smaller space doesn’t mean you can’t enjoy your space. These key tips will have you living large in no time. Placing a mirror in a room will open up the room making it brighter and appear bigger. Place it on the wall, on a dresser or on the floor, if you want to get creative you can place multiple small mirrors or one large mirror. When painting or using wallpaper keep in mind that you don’t want to be using dark colours or prints. Colours such as light creams, nudes and greys will make the room appear bigger and give more light. Choosing dark prints and colours will make the room look closed in and cluttered. If you have good sized windows that bring in natural light make the most of it, use translucent blinds to bring the light in while still keeping your privacy. If these windows are in the bedroom, a blockout blind and translucent paired together will block out the early morning sun. Get rid of furniture or items you haven’t used in a while, they take up unwanted space and can make the room look small. You can re-design old pieces of furniture too if you can’t part with ‘Grans chest of drawers’ – understandable, just find a room that can cater to it, you can try the one in one out method. Small things like keeping the room tidy and clean can also help. You need to make the most of your space. Furniture isn’t just limited to a bed and bed frame; there are furniture options that cater to storage. Secret hidden storage compartments would be perfect to hide those treasured items, books or clothes that make their home thrown over a chair. 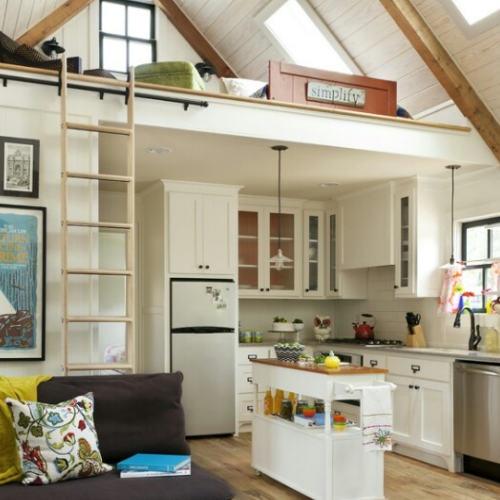 Scroll through to see some of our favourite living large solutions; we thought these would inspire you as well as being fun and interesting. “Oh they grow up so fast” is probably the most famous saying out of every parent’s mouth, along with growing older the transition of nappies to ballet flats and toy trucks takes place. We’ll show you how to take your child’s room from nursery to kid’s with these few simple ideas. Painting is a quick and easy way to transform a room from pink baby elephant stencilled walls to a neutral or white wall. This doesn’t mean that we’re creating a boring space, it means you now have a plain wall to play with, as your child goes through phases so will their room from Frozen to Buzz Lightyear to Fairies and Dinosaurs. You’ll be happy investing in easy peel, removable wall stickers, wallpaper and washable wall paint. Why not try incorporating an activity wall or corner, this would be a great addition to any toddler room, keep them occupied and keep the mess in one place. In every nursery comes a change table, so what happens when the table is no longer needed? You could recycle it; depending on the type of table you have, remove the change mat and store supervised toys up the top and baskets of books at the bottom or soft toys. If your child is into the arts you could change it into a crafts table. Going from cot to bed can sometimes be a challenge, but there are ways to turn your cot into a bed for your toddler while having the benefit of adjusting the height as they get older. There are also different styles of beds that would benefit them in the long run; a toddler bed with removable bed rails would be ideal for your child as they grow older. Window furnishings are quite important when it comes to furnishing your growing child’s room, we would suggest opting for curtains as they’re the safer option for children and don’t require a cord. Choosing curtains would ensure that the cold and heat stays out keeping your child’s room at the right temperature, you can also chose a block out fabric that would guarantee a ‘night time’ feel when the sun is still up. At Accent we have a range of colours and fabrics to choose from to compliment any room style. After you’ve replaced the main items in the room, start to add small décor items like frames, lights or rugs. When you make these changes remember to keep key items like their favourite toys, blankets as well as keeping similar items in the same places, for example replace the cot area with the bed, try not to rearrange their furniture too much so their surroundings are still the same. We’ve posted some of our favourite Toddler rooms from Houzz and our favourite key pieces, take a scroll to get some inspiration.